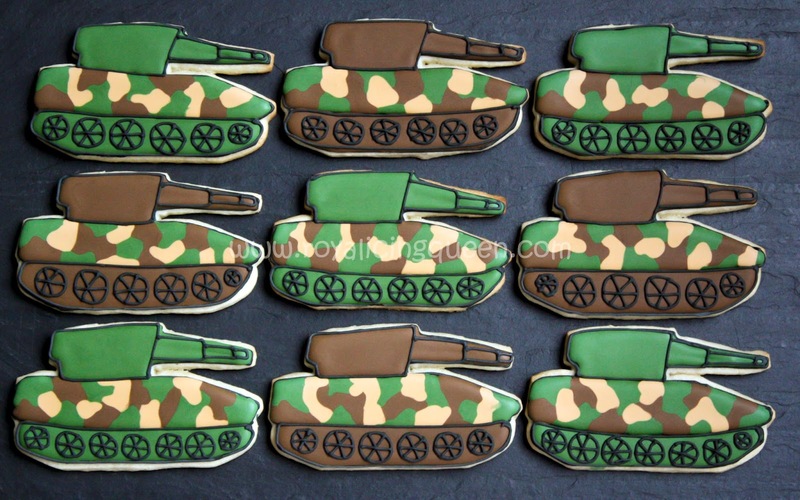 I found the cookie cutter at www.cheapcookiecutters.com, and I used the wet-on-wet technique to make the camo. 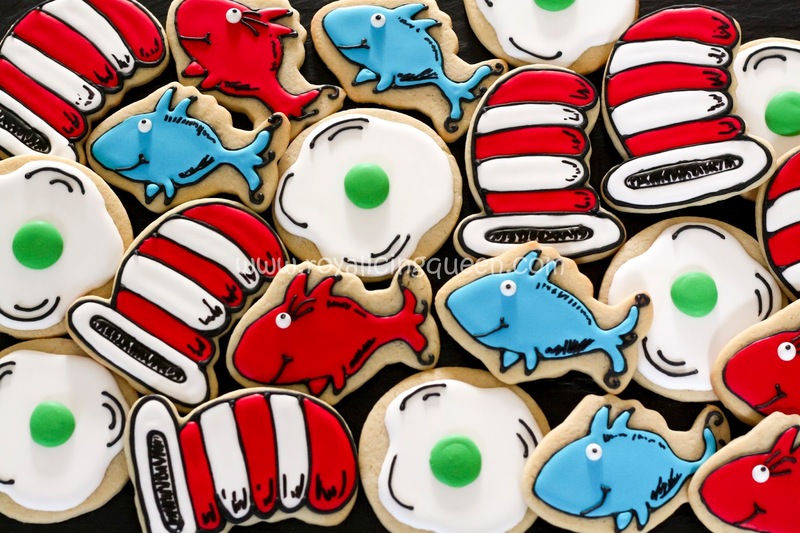 Dr. Seuss themed cookies: Cat in the Hat hats, Green eggs for Green Eggs and Ham, and blue and red fish for One Fish, Two Fish, Red Fish, Blue Fish. 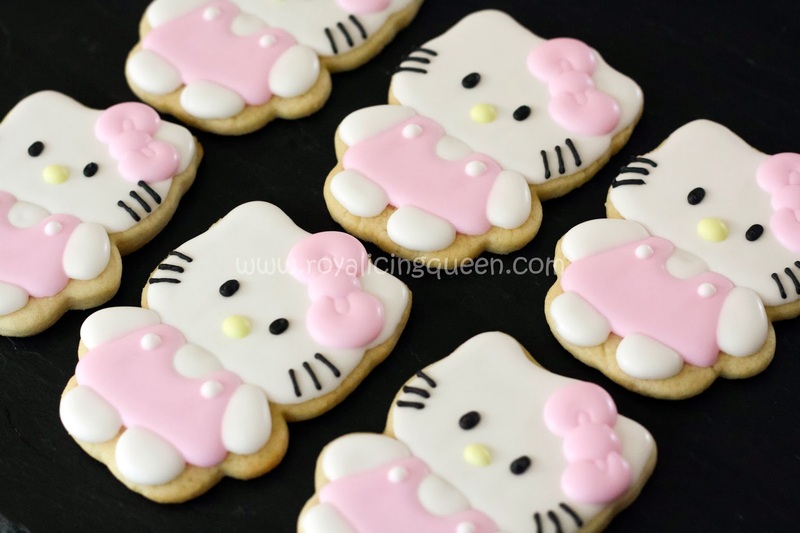 I've included some pictures of the cookies while they were in progress. 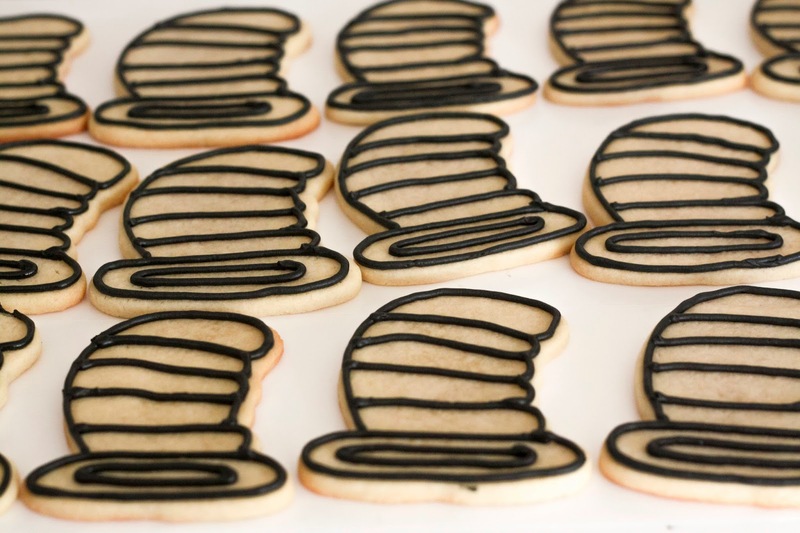 For the hat cookies, I used a Crooked Hat Cookie Cutter. 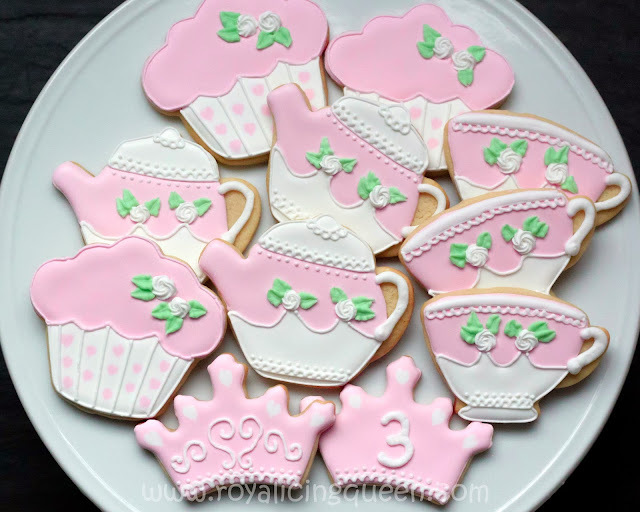 I outlined these cookies first with royal icing in a stiff, piping consistency. 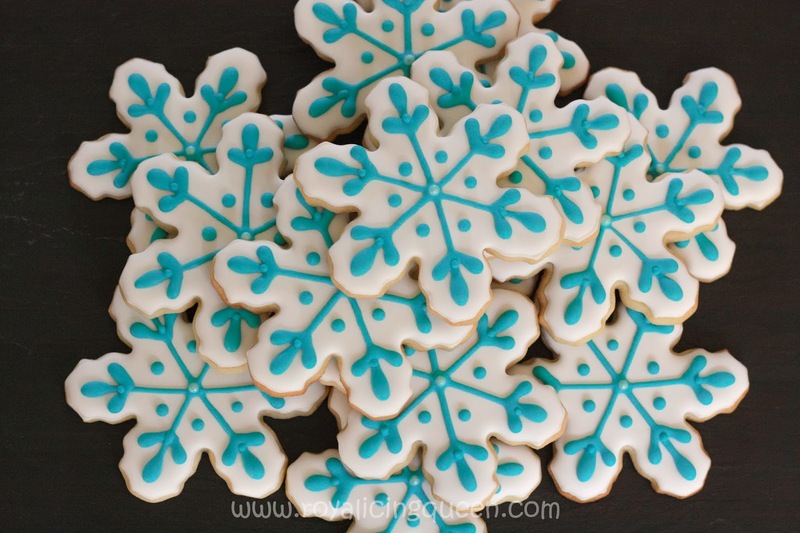 I used a Wilton #3 tip for the outline since a slightly wider line worked better for these particular cookies. 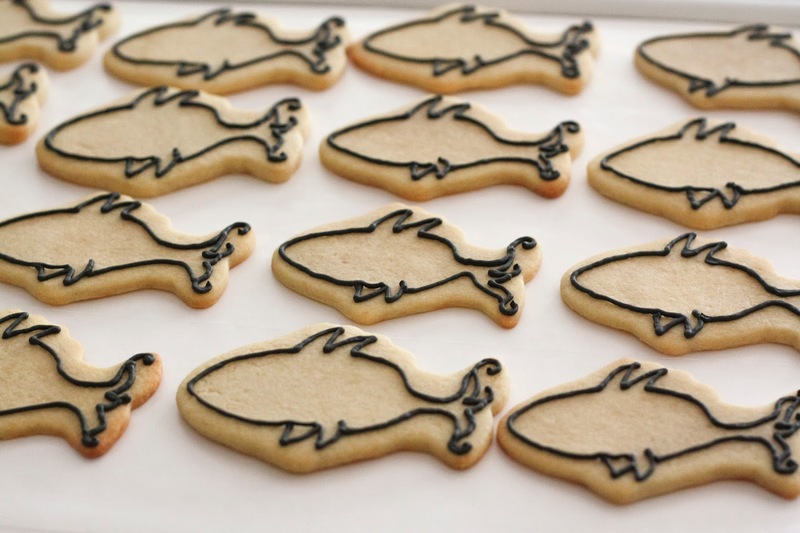 Next I filled in the spaces with white and red 20-second icing, and, after they dried, I drew the little scribbly details with my black food dye marker. I had to mix two batches of white icing since I hadn't made enough initially, and I had some cratering issues with the second batch. I'm fairly certain that it was because the second batch was slightly thinner and had more water than my original mixture. I've determined that for thin, enclosed spaces (like the spaces at the bottom of the hats), thicker icing holds up better than icing that is more watered down. 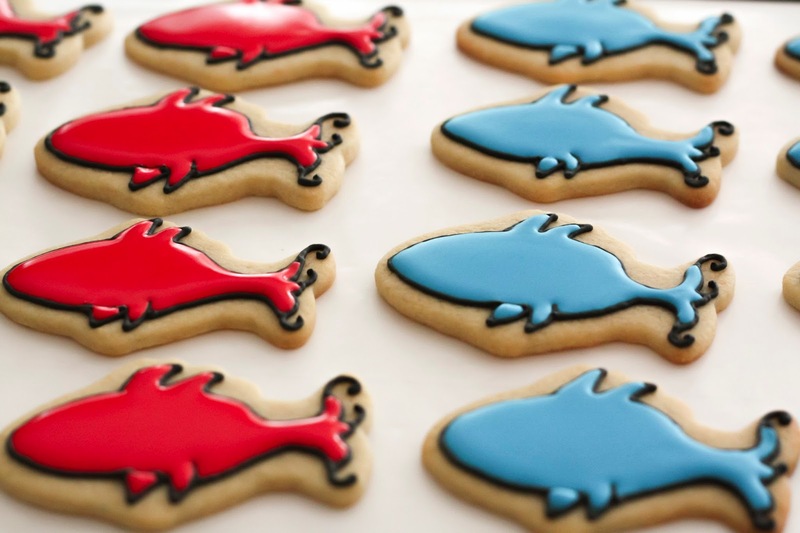 For the fish, I outlined them first with a Wilton #2 tip in black icing and then filled them in with red and blue flood icing. Once the red and blue icing was dry, I piped on the eyes and mouth with my remaining black icing and drew on the addition details with my black food dye marker. 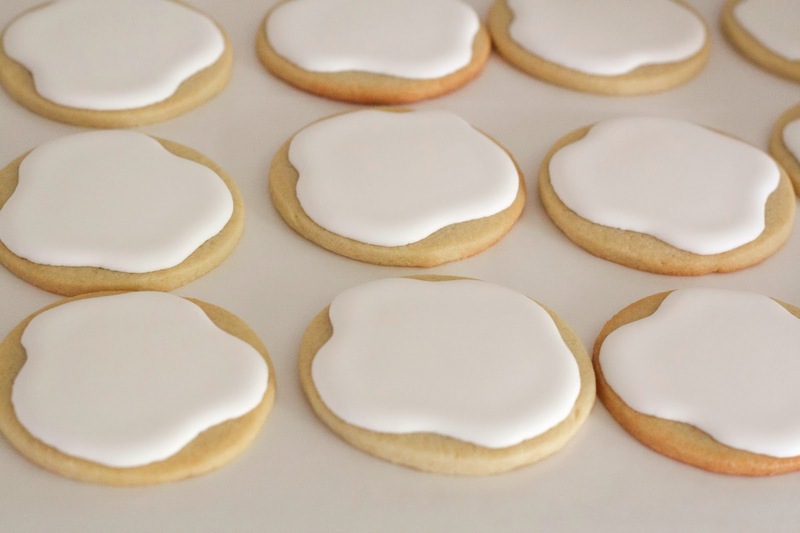 For the eggs, I piped white, 20-second icing onto a round cookie. I gave it the asymmetrical look of a fried egg and filled it in immediately after it was outlined. One the white icing was dry, I added the green egg yolks with 20-second icing, and piped on a few black lines as added detail. For a Disney's Frozen themed birthday party. For the Eiffel Tower cookies, I followed the tutorial at Oh Sugar Events. 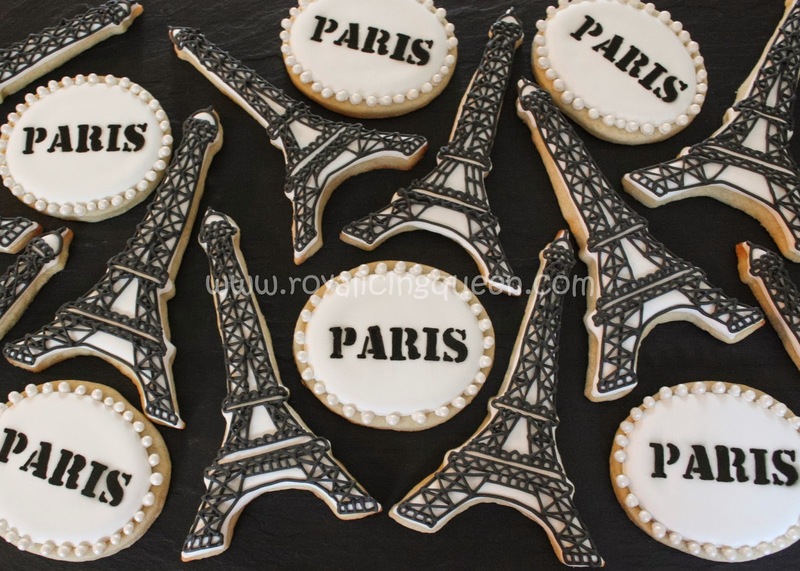 I created a stencil for the Paris cookies' wording and originally airbrushed the letters on with black food dye. The airbrushed black didn't turn out as dark and distinct as I wanted so I pulled out my food dye markers and traced over the letters in black. This gave me the look that I wanted. 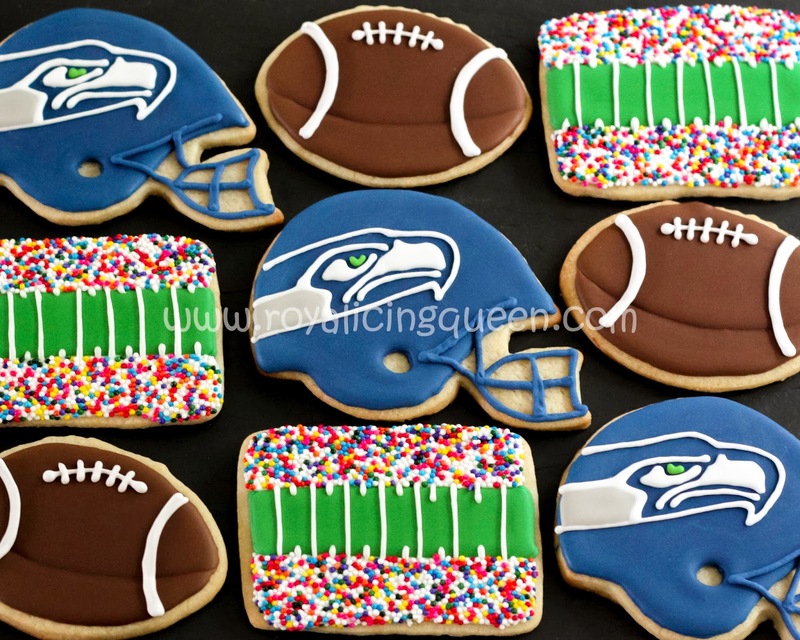 Since these cookies were for an elementary school fundraising auction, I decided that they needed a pretty presentation. I individually wrapped each cookie in a clear, cellophane bag, tied the end with a white, curling ribbon, and then put them in a Wilton cupcake box (without the cupcake insert). 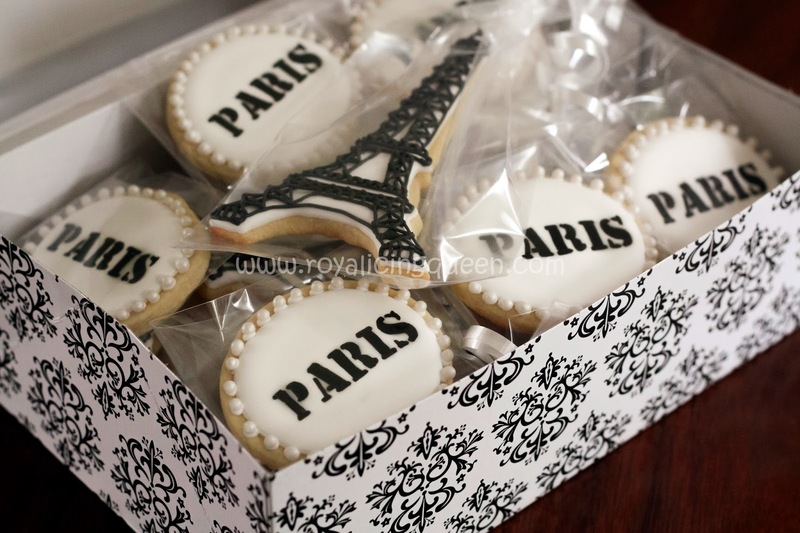 This box was the ideal size for a dozen Eiffel Tower cookies and a half-dozen oval-shaped Paris cookies.